Beef, lamb, pork and poultry, and some dairy products, would however be included in the 13% of imported products subject to tariffs. 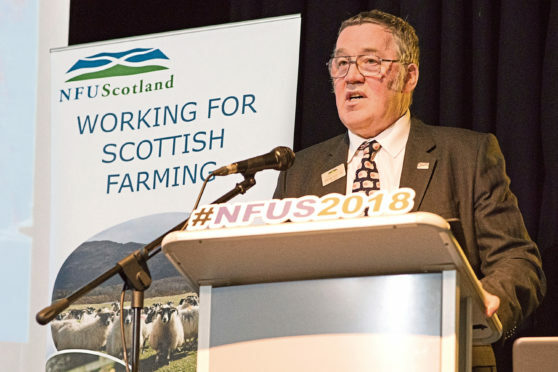 NFUS president Andrew McCornick said the UK Government had failed to recognise that the impact of a no-deal Brexit would be felt across every agricultural sector, and not just those offered protection by tariffs. “The no-deal tariff schedule undermines the food security of the UK,” said Mr McCornick. He said exports and imports should be treated in the same way and all agricultural products, whether meat, dairy, cereals, fruit, vegetables and eggs, should be given the same level of protection by the UK Government. Minette Batters – the president of the English farming union, NFU – backed calls for all agricultural sectors to be protected.